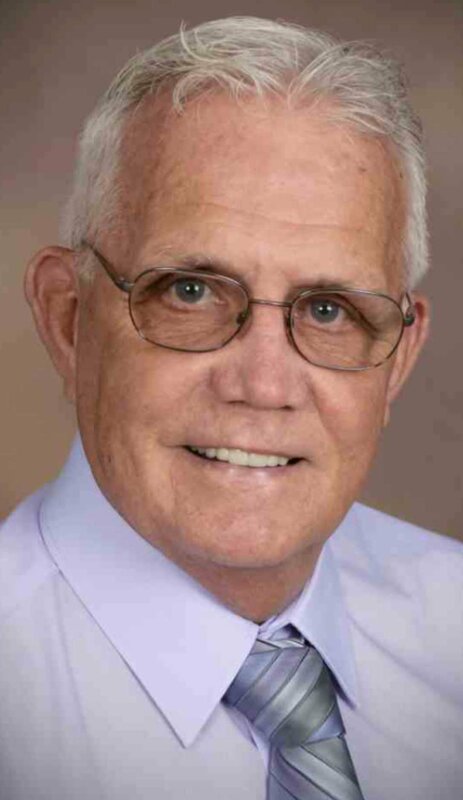 DESLOGE -- Richard Wayne Barnes, 74, of Columbia, formerly of Desloge, passed away on Sunday, February 10, 2019, at University Hospital in Columbia. Wayne was born on March 6, 1944, to the late Herschel Ivern and Dorothy Mae (Marshall) Barnes in St. Louis. He was united in marriage to Connie Sue (Clay) Barnes on June 16, 1967, at Leadington Free Will Baptist Church. Wayne proudly served his country in The United States Navy aboard the U.S.S. Kitty Hawk during the Vietnam War (1963 – 1967). He spent 33 years working with Missouri Natural Gas Company in Festus and Farmington and retired in 2002. Prior to moving to Columbia in 2018, he and Connie were active members of the Leadington Free Will Baptist Church. They attended Rejoice Free Will Baptist Church in Columbia, Missouri. Wayne was diagnosed with leukemia in 2016 and approached his treatment and subsequent challenges with courage, strong faith in God, optimism, and determination. Although complications from leukemia took his physical body, Wayne won his battle. His kind, loving spirit lives through those who knew and loved him. In addition to his parents, Wayne was preceded in death by his sister, Judy Barnes; and brother-in-law, David “Sonny” Bates. Wayne is survived by his wife, Connie, of Columbia; his son, Shawn and wife Courtney Barnes, granddaughters, Rory and Collynn, of Columbia; sisters, Marilyn Bates and Carolyn Roussin, both of Farmington; sister-in-law, Cathy Davis and her husband Roy, of Farmington; and numerous aunts, uncles, nieces, nephews, cousins and dear friends. Aside from being a loving husband and father, Wayne cherished his role of grandfather most of all. Rory and Collynn Barnes were a source of immense joy and laughter for him. He left a beautiful, indelible mark with “his girls,” whom will miss time spent with their PawPaw, but have memories to last their lifetimes. Friends may call from 5-8 p.m. on Friday, February 15, 2019, at C.Z. Boyer & Son Funeral Home in Desloge. Visitation will resume at 9 a.m. until service time of 10 a.m. on Saturday, February 16, 2019, at C.Z. Boyer & Son Chapel with Rev. Cody Alley officiating. Interment will follow at Hillview Memorial Gardens in Farmington. In lieu of flowers, Wayne’s family suggest memorial contributions to the Leadington Free Will Baptist Church Building Fund or Kate’s Heart (https://www.katesheart.org/). View obituary and share condolences online at www.czboyer.com. BARNHART -- David Edward Sinclair of Barnhart entered into eternal rest February 10, 2019, at Scenic View Nursing Center in Herculaneum, Missouri, at the age of 56. He was born on April 20, 1962, at Festus, Missouri. Prior to his illness, David had been a building plan estimator for the Jefferson County Lumber Company. He was a graduate of Windsor High School, Jefferson College and UMSL, where he earned his BA degree in Business Administration. He enjoyed sports, particularly football and basketball and he liked playing golf, but most of all he loved being a Dad. David was a member of Faith Baptist Church of Festus. David is survived by his loving family, parents, Lonnie and Darlene Sinclair of Barnhart, Missouri; son, Jordan Sinclair of St Louis, Missouri; daughter, Brittany (John) Kitners of Festus, Missouri; sisters, Debra (Larry) Kohler of Barnhart, Missouri and Sue (Traci Reach) Sinclair of Metamora, Illinois; and a granddaughter, Bailey Kitners. Memorial Gathering is scheduled from 10-11 a.m., Saturday, February 16, 2019, at Faith Baptist Church, 11835 County Road CC in Festus, Missouri. A Memorial Service will follow at 11 a.m. Burial will be at the Odd Fellows Cemetery in Bismarck, Missouri, at a later date. Memorials, if desired, may be made to the Building Fund at Faith Baptist Church of Festus, Missouri. Arrangements are under the direction of the Mahn Twin City Chapel of Festus, Missouri. Share your condolences and read obituary online at mahnfuneralhome.com. BISMARCK -- Mitchell Horton, 49, of Leadwood was born February 2, 1970, to the Late Ralph Erving and Norma (Horton) Armsby. He passed away February 8, 2019, in Farmington, Missouri. Mitchell is survived by his mother, Norma Armsby; sons, Cameron and Connor Horton; daughter, Cailee Horton; ex-wife, Laura McClain; brothers, William Armsby, Micheal, Bobby, and Richard Horton; and sister, Debra Moore. A memorial service will be held 11 a.m. until time of funeral service at 1 p.m. Wednesday, February 13, 2019, ln the Coplin Family Funeral Home Chapel of Bismarck, with Rev. Mike Barton Officiating. DESLOGE -- Joey Govreau, 65, of Farmington, passed away February 10, 2019, at Barnes Jewish Hospital in St. Louis. She was born June 21, 1953, to the late Cledith and Elaine (Deremo) Reeder. Joey taught elementary school in Viburnum for seventeen years and taught Sunday school at the First Baptist Church of Viburnum. She was a member of the First Baptist Church in Park Hills. She is survived by the love of her life, Joe Govreau, who she married, June 21, 1975; children, Allison Menley of Farmington, Joshua Govreau and wife Natalie of Cape Girardeau; five grandchildren, Gracie and Tatum Govreau, Abbey, Britney, and Kensey Menley; brother, Larry Reeder and wife Dianne of Farmington; a number of nieces and nephews also survive. Visitation will be held at C.Z. Boyer and Son Funeral Home in Desloge, Wednesday, February 13, 2019, from 4 p.m. until 8 p.m. The visitation will resume at First Baptist Church in Park Hills, Thursday, February 14, 2019 at 10 a.m. until service at 11 a.m. Reverend Josh Wilson will be officiating. Interment will follow at St. Francois Memorial Park in Bonne Terre. Memorials may be directed to First Baptist Church of Park Hills or Diabetes Association. Please view full obituary and share condolences online at www.czboyer.com. DESLOGE -- Betty L. Parks, 68, of Leadwood passed away February 8, 2019, at her residence surrounded by her family. She was born March 25, 1950, in St. Louis, to the late Luther and Charlotte Louise (Kroeck) Thurman. Betty was a member of Harvest Christian Centre and she loved to crochet, cook and take care of other people. She was preceded in death by her parents; two sisters, Rosalee Pruett and Carolyn Ellis; two brothers, Luther Thurman and Jessie Thurman; and son, Tony Hardie. Betty is survived by her husband, Dennis Parks; children, Rodney (Carla) Reed, Mona (Chris) Meinershagen, Dennis Parks Jr., Regina Chapman, Donita Chadwell, and John (Emmaline) Parks; twenty-eight grandkids, several great-grandkids; one sister, Fran (Ray) Gibson; several nieces and nephews also survive. Visitation will be held at C.Z. Boyer and Son Funeral Home in Desloge, Monday, February 11, 2019, from 10 a.m. until service time at 1 p.m. Pastor Dwight Jones will be officiating. Interment will follow at Odd Fellows Cemetery in Bismarck. Memorials may be directed to Harvest Christian Centre (Missions). 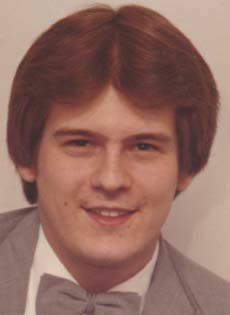 POTOSI -- Anthony Joseph “Tony” Schrum of Terre Du Lac, Missouri, was born May 17, 1951, in Potosi, Missouri, a son of the late Hueston E. Schrum and the late Margaret T. (Politte) Schrum. On December 19, 1970, Tony was united in marriage to Tina O’Hanlon and they shared forty-eight years together. Tony went to his Heavenly Home Wednesday, February 6, 2019, at the Community Manor Nursing Home having reached the age sixty-seven years, eight months and twenty-one days. Survivors include his loving and devoted wife, Tina Schrum; two children: Pamela (Joseph) Direso and Eric (Kim) Schrum; three grandchildren: Hueston Schrum, Rachel Direso and Mallory Direso; three siblings: Claudia (John) Creaven, Harry (Sandee) Schrum and Gail (John) Boyer; brothers-in-law and sisters-law: Patrick O'Hanlon, Chuck (Kim) Williams, Irene (Gary) Adams; also surviving are many nieces, nephews and dear friends. Tony was preceded in death by his father and mother, Hueston and Margaret Schrum; infant daughter, Katheryn June Schrum; and sister, Mary Wilkson. Tony retired from the Doe Run Company after investing thirty-eight years in the mining industry. He had a strong work ethic and took pride in providing for his family. Tony loved his family and spending time with them. He enjoyed going to the Schrum family Reunion and visiting with family each year. Tony had a passion for riding his Harley Davidson. He was a member of the Masonic Lodge Post 424 in Bonne Terre, Missouri. Tony and Tina were longtime members of the Centenary United Methodist Church of Bonne Terre. Tony’s family wishes to express their most sincere gratitude to Preferred Hospice and Community Manor of Farmington for the tender loving care that was shown to both Tony and our family. Visitation will be held 5-8 p.m. Sunday, February 10, 2019, at DeClue Funeral Home in Potosi. A masonic service will begin at 6 p.m. on Sunday evening. Visitation will resume 9 a.m. Monday, February 11, 2019. A funeral service to honor Tony will be held 11 a.m. Monday, February 11, 2019, in the DeClue Memorial Chapel with Pastor Dave Wright officiating. Interment and final prayers will be held at Redbud Memorial Gardens, Potosi. All funeral arrangements have been cared for by DeClue Funeral Home. To send flowers to the family of Anthony Joseph Schrum, please visit our Heartfelt Sympathies Store. CEDAR HILL -- Ceola Mae Bock (nee Barnhart) of Fenton, Missouri, was born June 29, 1925, in Meta, Missouri, to Loman and Nellie (nee Lee) Barnhart. She entered into rest Monday, February 4, 2019, in Bonne Terre, Missouri, at the age of 93 years, 7 months and 6 days. She is preceded in death by her parents; her husband, Willard Bock; one grandson, Steve Spriggs; and eight siblings, Wilfred Barnhart, Wilson Barnhart, Luther Barnhart, Billy Paul Barnhart, Mary Wiles, Wilburn Barnhart, Willard Barnhart, and Wade Barnhart. Ceola is survived by two children, Elsie Jane Bock, of Bonne Terre, Missouri, and Sue (Jim) Spriggs, of High Ridge, Missouri; two grandchildren, Jim (Cam) Spriggs, of Webster Groves, Missouri, and Christine (“Russ”) Russell, of Eureka, Missouri; seven great-grandchildren, Brandon, Emily, Carly, Rylie, Jeremy, Adrienne, and Ashley; one great-great grandson, Colson; two brothers, Lewis Barnhart, of Meta, Missouri, and Roscoe Barnhart, of St. Charles, Missouri. Many other relatives and friends also survive. Ceola was a devoted wife and mother and a faithful member of Fenton Church of the Nazarene which she and her husband Willard help start in 1967 with Reverend Paul Ambro. She enjoyed gospel music and spending time with her family. Ceola is fondly remembered and will be dearly missed by everyone who knew her. Visitation will be 4-8 p.m. Friday, February 8, 2019, at Chapel Hill Mortuary, 6300 Highway 30, Cedar Hill, Missouri. A funeral service will be held 11 a.m. Saturday, February 9, 2019, at Chapel Hill Mortuary followed by Entombment at Chapel Hill Memorial Gardens. Memorial contributions to New Path Church, 9370 Carol Drive, Bonne Terre, MO 63628 or Fenton Church of the Nazarene, 365 Saline Road, Fenton, MO 63026. Family and friends can review and share stories, photos and condolences online at www.stlfuneral.com and follow details of this event and others in the community at www.facebook.com/stlchapelhill. IRONDALE -- James Warner Forinash of Irondale, departed this life Monday, February 4, 2019, at Parkland Health Center in Farmington, Missouri. James was born October 21, 1926, in Raymondville, Missouri, a son of the late Jacob Ray Forinash and Dorothy Belle (Richardson) Forinash. James was Ninety-two years, three months and fourteen days of age. James was united in marriage to Waneda Lorraine Chapman on December 19, 1948, in Piggot, Arkansas. They were blessed with four children born to the union. James had a great love for God and his country. He was a long time member of the Irondale United Methodist Church where he was very active in its many activities and committees. He served this country in the United States Army during World War II and the Korean War. He enlisted on May 30, 1945, in St. Louis, Missouri. He was an E-7, S SGT. Attached to the Administrative NCO. He received the Victory Medal, Army Commendation Ribbon, Army of Occupation Medal (Germany), and Lapel button issued on terminal leave, Overseas Service Bar and transferred to the Reserve. James was discharged on March 31, 1953. James is survived by his loving and devoted wife Waneda (Chapman) Forinash of Irondale; two sons, Dwayne Forinash and wife Linda (Lumos) of Ironton and Darrell Jacob Forinash and wife Nancy (Dickey) of St. Louis; daughter-in-law Carla (Porter) Forinash of Colorado Springs, Colorado; eight grandchildren, ten great-grandchildren and by many other dear and special relatives and friends. In addition to his parents, he was also preceded in death by his daughter, Patricia Elaine Forinash, son, Dennis Ray Forinash, sister, Dorothy Riddick, brothers, Dr. Paul Forinash, Glen D. Forinash, Lynn Forinash and J.K. Forinash and by two great-grandchildren, Eloise Grace and Owen Thomas. James was a member of the Bonne Terre VFW. He enjoyed trout fishing and doing carpentry work. He loved to spend time in his yard working with his grass and flowers, always proud of his accomplishments with his yard. James enjoyed spending time at the Blue Haven Restaurant visiting with all his friends. A kind and loving man who will be deeply missed by all who loved and knew him. Visitation will be 5-8 p.m. Friday, February 8, 2019, at Moore Funeral Home, Irondale. Funeral service will be held 11 a.m. Saturday, February 9, 2019, at Irondale United Methodist Church, Irondale, Missouri. In Memory of James, memorials are to be directed to the Irondale United Methodist Church, PO Box 51, Irondale, Missouri 63648.